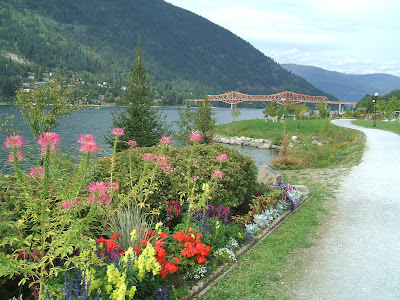 While RV’ing in the West Kootenays, you must spend some time in Nelson, BC. It is one of the prettiest towns to visit. 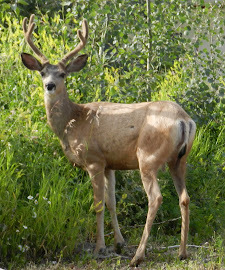 It is incredibly picturesque with surrounding mountains and a lake right downtown to enjoy. 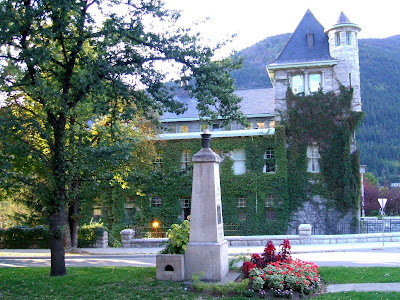 Nelson, BC, with a population of 9258, is rich with history and has over 350 Victorian style buildings. There are so many things about Nelson to enjoy that it can’t be done in just one day so allow yourself enough time to see and feel it all. The bridge was a welcome addition after using a cable ferry to cross over Kootenay Lake in Nelson. The bridge opened in 1957 as a toll bridge and the toll was removed Mar.31, 1963. Nelson is an all-season kind of town, so no matter what time of year you’re visiting, there are numerous sports to participate in if you’re not here only for the ambiance of the town. Summertime has the lake and all that a lake could offer, including clear water for divers to explore the largest concentration of wrecks in western North America. Wintertime is great for sports, too. Whitewater Winter resort is close by for skiing and snowboarding. And if you’re more interested in other winter sports, it isn’t far to go to cross country skiing and snowmobiling trails in the area, and enjoy the magnificent winter scenery while you play. F.M. Battenbury designed the Nelson Court House, built in 1909. He was the architect famous for designing the BC Legislative Buildings and the Empress Hotel in Victoria. Also shown in this photo is the Houston Memorial (1926) named after Nelson’s first mayor. This corner also houses Nelson City Hall and the restored Hume Hotel. And spend some time in the Museum to learn about the history of the area. One just need take a walking tour to be able to see a lot of their beautiful buildings, and they have a list for you to see, as well as a driving tour. 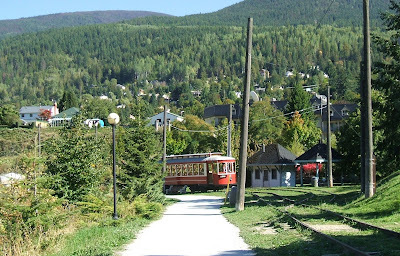 Check out the buildings on this tour at http://kootenay-lake.ca/lakeside/Nelson/heritage/. Wandering downtown on Baker St. allows you to visit several interesting boutiques and galleries as well as many choices for restaurants. Summertime means many patios are open for dining outside and enjoying the sights while you eat. The summer months are full of entertainment for all to enjoy, including Artwalk, Streetfest throughout the summer and the Road Kings Classic Car Show in September with hot rods from all over participating. Nelson, BC was rated “Number One Small Town Arts Community in Canada” and proves themselves to deserve that award. Nelson hosts several arts related festival and events and many local artists receive international fame. #23 was part of the smallest electric streetcar system in the British Empire which operated from 1899 to 1949 then was replaced by diesel buses. In 1988 the Nelson Electric Tramway Society was formed and old #23 was refurbished to operate on the 1.2 km track built especially for it from Lakeside Park entrance to the city wharf area. The award winning tram is like a ride back in time as it ambles along the scenic waterfront drive during the summer months. There are several pick up places and the cost is $2.00. Enjoy the experience. At the end of this day we were able to enjoy this beautiful sunset from the city wharf which is only a short walk from anywhere downtown as well as from the city RV park. 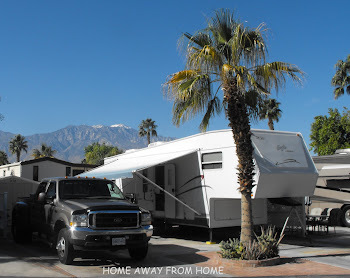 The RV park has limited space and may be difficult for the larger RV's travelling the roads these days. It was developed when most were using small vehicles and tents.